After a victory over Golden Guardians during Week 2, Cloud9 have cemented their hold amongst the middle of the LCS rankings. Although they lost on Sunday against CLG, the team is looking to bounce back into Week 3 and secure their spot in the upper placements of the LCS. 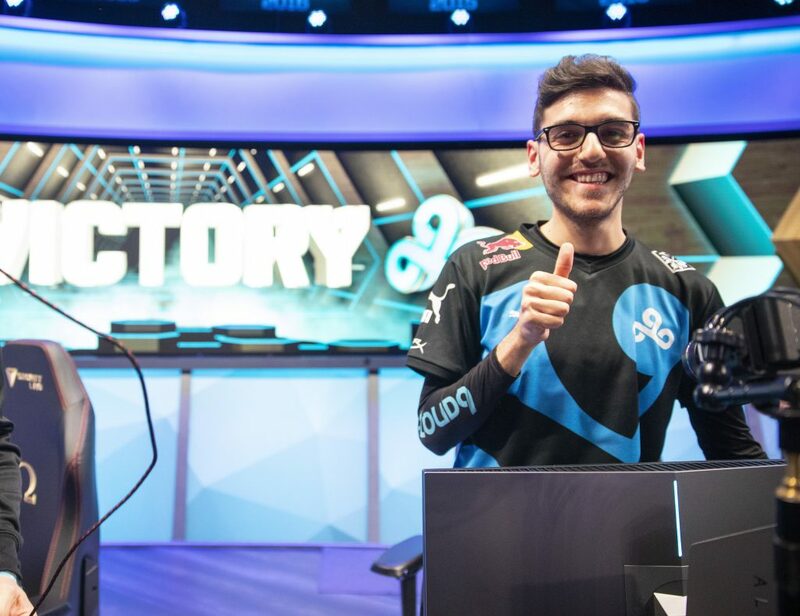 Esports Heaven spoke with C9’s mid laner Nisqy after a victory against Golden Guardians, talking about Zoe, Baron, flex picks and fear of being subbed out. You played Zoe in your game against Golden Guardians, how do you think she fits in the meta currently? I think she’s fine, but you gotta be really good on her. It’s not like before where you can just pick her and if you hit someone they’re dead. Laning phase is also harder now too because she has a lot of counters. Since I’m a big Zoe fan from last year I always have her in my pocket and whenever I feel like it, if it’s good against the enemy comp then I pick it. She felt pretty good today so I just picked her. What do you think went wrong in this game? You still won but what do you think was difficult about that game? There was one fight where Svenskeren invaded and died, it kind of gave them a little lead because Lee Sin was ahead of Svenskeren during that time. There was also another time where we were 2v3 on the top side and we went 1 for 1, but it wasn’t good at all since I lost waves mid lane. Generally the game wasn’t that bad, we played quite slow and we tried to play fast but Sneaky got caught once so we needed two barons. On the second baron we knew we could end the game. What do you think of the state of Baron right now? I had spoken with Zeyzal previously and he was saying that Baron is incredibly powerful. So, what are your thoughts on Baron and its impact on the game? When a team has Baron, it’s so hard to defend because minions are hitting so hard, especially cannons. I dunno, I feel like Baron is OP and that’s why I think Mountain Drakes are really strong because it makes Baron easier to take. I think the team that gets Baron usually wins the game, so I think Baron is really OP. I also don’t think Baron is that easy to take unless you have the comp for it. I dunno if they should nerf it but it definitely makes the game quicker. Being the new player on the team, in fact, you’re the only new player, how does that feel to join a team where you don’t really know anyone and you’re kind of the new guy on the block? I think it’s really good for me because they’re all kind of better than me, not mechanically but gameplay-wise or macro-wise. They just know more than me because they’ve been taught for 2 years or 1 year, and they’ve been playing together as well, so me just fitting in and just trying to learn the game from their point of view is really interesting. I know that I can match whatever they need for a mid laner and I have the potential to be one of the best. I’m just trying to adapt and learn more and at one point, once we’re all on the same page, I’m pretty sure I’m going to be good. As a mid laner in this meta, what’s your opinion about flex picks? Do you think they’re necessary for a mid laner to have in their champion pool. Do you think someone can function without them? I think that if you’re a mid laner without any flex picks, the game is unplayable. Usually when you pick a champion and you can only play it top, it’s kind of ok, unless it’s a tank that has no counters, but usually when you pick a champion, it’s usually top, mid, jungle or bot, so for me, if you don’t have flex picks as a mid laner, you’re at a big disadvantage. I do believe you have to play some flex picks. Cloud9 last year they were pretty famous for swapping out their starters, so coming into the NA scene and hearing about that, did it worry you when joining C9 and looking at NA teams that maybe you were replaceable to some extent?